Help! My student will be applying to college in 2018! A new year—a time to refresh. What, that’s not the case in your household? If you find yourself fearing the new year because it includes the college process, try to relax. Remember that more knowledge helps fuel good planning while reducing stress. Last month, many students heard from their Early Decision, Early Action or Single-Choice Early Action colleges. As projected, applying Early proved to be immensely popular. Particularly for elite colleges, acceptance rates declined as the applicant pool grew. The Ivy League, which we all know is just a sports conference, reported ED acceptance rates ranging from a high at Dartmouth (24.9%) to a low at Harvard (14.5%). Other popular colleges were no exception. At Lehigh, which fills about half its class with Early applicants, volume was up 10 percent. Georgetown, which reported historic volumes, accepted only 12% in the Early Action round. Sure, Harvard Admissions tells Business Insider that there’s no difference in applying Early or Regular. But as reported, “there’s a stark disconnect between early and regular decision rates.” While many argue that ED puts lower-income students needing to compare financial aid offers at a disadvantage, it is not going away. For those who did get in Early, what made the difference? We know that getting in depends in part on what a university seeks in a given year, but it’s also a function of differentiation. Colleges, particularly elite colleges, want a candidate who stands out from the pack, beyond stellar grades and test scores. When it came to the Personal Essay, the best of my students’ essays spoke to their interests and stories in a unique and engaging way. As usual, STEM students differentiated themselves the best when they wrote about activities unrelated to science or academics. Another differentiator: ZeeMee. Whenever I have an applicant to a ZeeMee partner such as Tulane, I insist that the students use the ZeeMee App and paste their link into the supplement. This year, I really believe it helped. 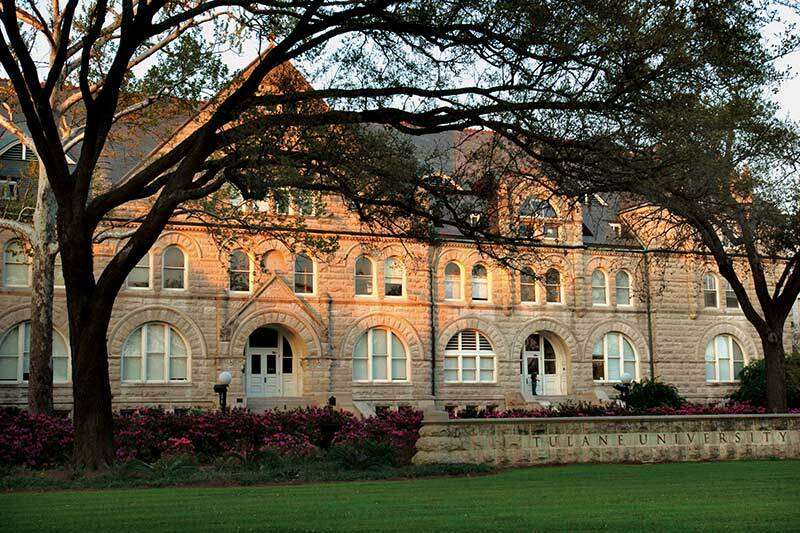 Students interested in Tulane should include a ZeeMee. Help! My student has been deferred! Deferrals and waitlists are realities of the process. They’re disheartening, especially if your student has friends who did get admitted in the Early round or if they had a clear first choice. There’s a particular way your student can communicate with admissions after these decisions are rendered. Also, if your student is deferred or waitlisted and still has time to apply ED II, it may be a good move. Get in touch with me for help. Help! My student might not get in anywhere! While I have heard that often, it really doesn’t happen. Every year, there is a list published in the spring that includes colleges that are still looking for students. In the meantime, there are great colleges with later deadlines, including Haverford (1/15/18), Rochester (1/5/18), Richmond (1/15/18), Davidson (1/5/18), Michigan (2/1/18) and Wisconsin (2/1/18). Students should be aware that these colleges have already accepted, deferred and waitlisted students, but getting in that app now is better than not trying at all. 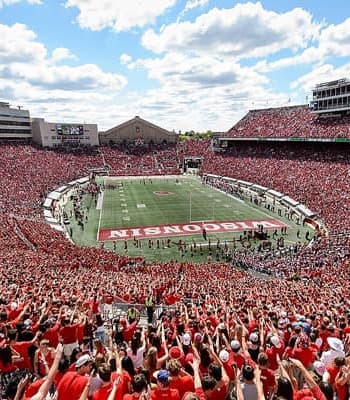 It’s not too late to apply to Wisconsin, 34-24 winner over Miami in the Orange Bowl. Help! My student will be applying to college in 2018. It’s really going to be fine. But you need a plan now. Your student should be brainstorming a college list (based on intellectual and career interests, not prestige), registering and preparing for standardized tests, scheduling visits and working hard to keep the transcript elevated. It’s Cold. So Go South? Last month, the Wall Street Journal wrote about Southern colleges with top outcomes (e.g., debt, graduate salaries). The top-ranked private university was no surprise: Duke, which also came in fifth on the Journal’s national list. Meanwhile, UNC Chapel Hill topped the list of North Carolina’s public colleges, and UVA was highest ranking in Virginia. As I’ve often mentioned, the public research universities limit out-of-state students, making entry difficult. Why Did My Post Get So Many Views? Late last week, I found out that Brown was getting set to open a new Engineering Research Center that included the Hazeltine Commons, honoring my favorite advisor and professor, Barrett Hazeltine. I posted the news on LinkedIn, knowing that this unassuming professor would never do so, and it generated over 3,000 views in a matter of days! Professor Hazeltine, who still teaches, has motivated and inspired generations of students to understand complex organizations, become entrepreneurs, and use case study analysis to understand and strategize. In this era of all things trending, I’m so glad to see him so appropriately honored. When asked where the student is applying, put down any four colleges to which they’ve applied and also include a public college or university. Children of divorce should indicate the parent with the lowest income as the custodial parent. Students estranged from their families should file as independent students. When asked for bank balance, applicants should use the lowest day of the month. Students shouldn’t hesitate to appeal their financial aid packages. More colleges will allow self-reporting of standardized test scores. Elite universities such as Columbia started the trend, and there’s no holding back. More colleges will go loan-free. Brown made headlines recently when it announced that it would be giving grants instead of loans. This article in Moneyincludes a list of 32 no-loan colleges. The Common App will continue to absorb the features of the Coalition App. unCommon apps will continue to help. Get in touch and stay warm! What’s Going on Now in the College Process?